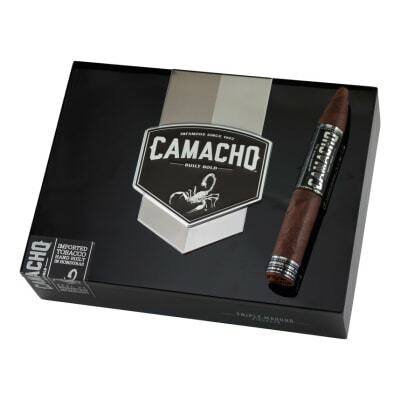 Camacho Triple Maduro Figurado cigars are so named for the Maduro tobaccos comprising the wrapper, filler, and binder. After immense effort, this line was finally introduced in 2007. So while they are full-bodied enough to sit the most experienced aficionado back down in his seat, they're never bitter or overpowering. Expect clouds of white smoke full of earthy flavors, producing a remarkable aroma laced with unsweetened cocoa and coffee on a long finish. Only 300,000 were produced, so get yours soon! 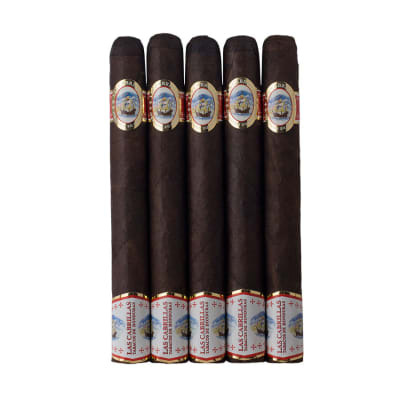 Camacho Triple Maduro Figurado 5 Pack cigars are so named for the Maduro tobaccos comprising the wrapper, filler, and binder. After immense effort, this line was finally introduced in 2007. So while they are full-bodied enough to sit the most experienced aficionado back down in his seat, they're never bitter or overpowering. Expect clouds of white smoke full of earthy flavors, producing a remarkable aroma laced with unsweetened cocoa and coffee on a long finish. Only 300,000 were produced, so get yours soon! I ve smoked four of these now, but I almost gave up after the first one. The first had a problem with the draw which I blamed on construction. Drawing too hard on it gave it a nasty bitter flavor, and I was ready to give up on the cigar. 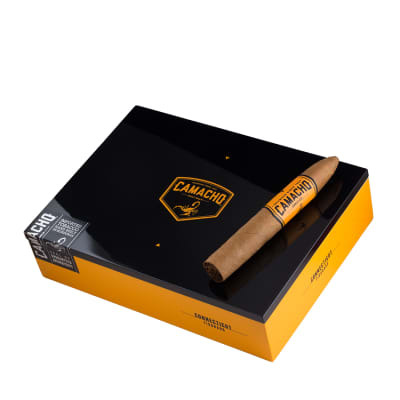 I tried again but this time dryboxed it for a few days prior to smoking in the hope that the triple maduro needed less humidity than my other cigars, and that maybe the construction problem was actually caused by the tobacco being kept at an unfriendly humidity. This was the ticket! No draw problems since then, though the first third is still a bit tight. I d prefer if the foot had less of a tapper, but once it opens up a bit it s almost worth the long tapper in the beginning to feel it open up. 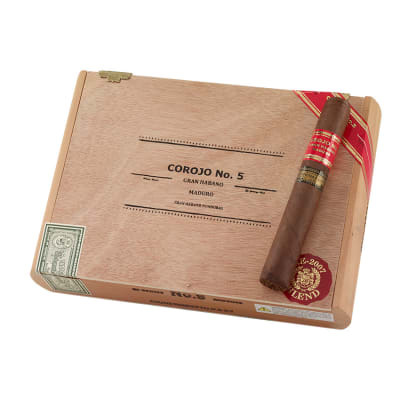 Part of the fun for me with this stick is that it starts out as a mild cigar with a medium body. When it opens up and sends the wrapper flavors to the background you re left with an extremely full bodied smoke that keeps all the maduro sweetness, but attacks you with an earthy, peppery vibe. Take your time with this one. What happened to this brand? 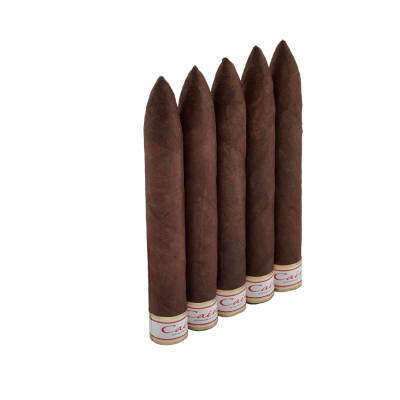 The cigars are just awful, each and every cigar has a plug and is simply impossible to smoke!Dreadful bitter taste, I would say one if the worst cigars I ve tried in years.I feel ripped off and angry, these used to be wonderful full bodied smokes. Don t waste your money!Its such a labor and effort to try to smoke one, the best way to keep one lit is to just toss it in your fireplace!I smoked or attempted to smoke all the cigars in the box, some I could not even light or get a draw on but all were simply bad!I would rather have Te Amo Mauduros, at least their honest smokes!Even the free 5 pack Camachos could not be smoked because they were all rolled to A nearly solid stick! Horrible burn, constant relighting, bitter and sour low grade leaf.A total disaster and waste of money! !Shame on Camacho! !